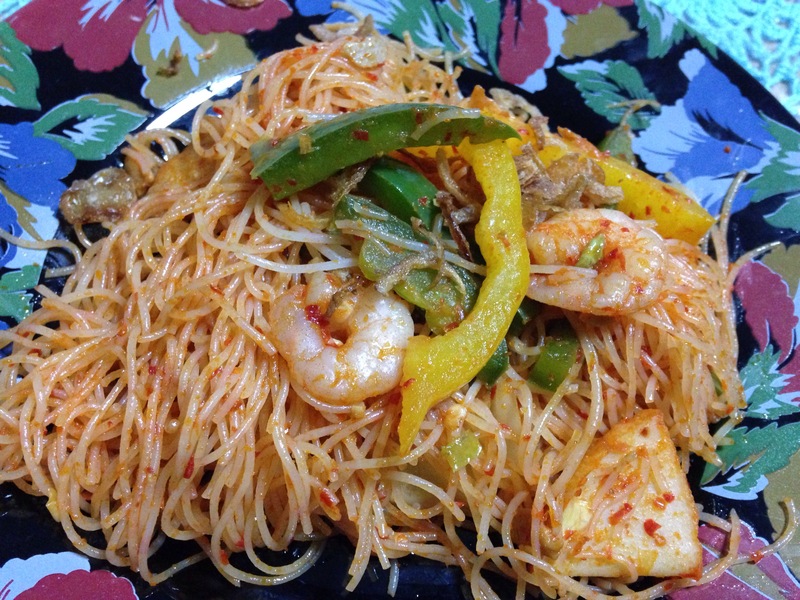 Ok this is a simpler recipe of Fried Tom Yam Bee Hoon … I usually fry this using tom yam paste but inspired by my cousin during the Eid visitation to her house, I decided to try out myself. It is mild in the form of the tom yam flavour compared to if I’m using the tom yam paste itself …. but thanks to the flavour of lemongrass and kaffir lime leaves, you can still taste the likeness of tom yam in it. – Heat oil in a wok. – Saute the sliced onions, lemongrass, garlics, birds-eye chilies, kaffir lime leaves and coriander leaves till fragrant. – Add in water, beef or chicken cube and osyter sauce. – Let in simmer for a few minutes, then add in salt to taste. – Stir well and then add in the prawns and fishcakes. 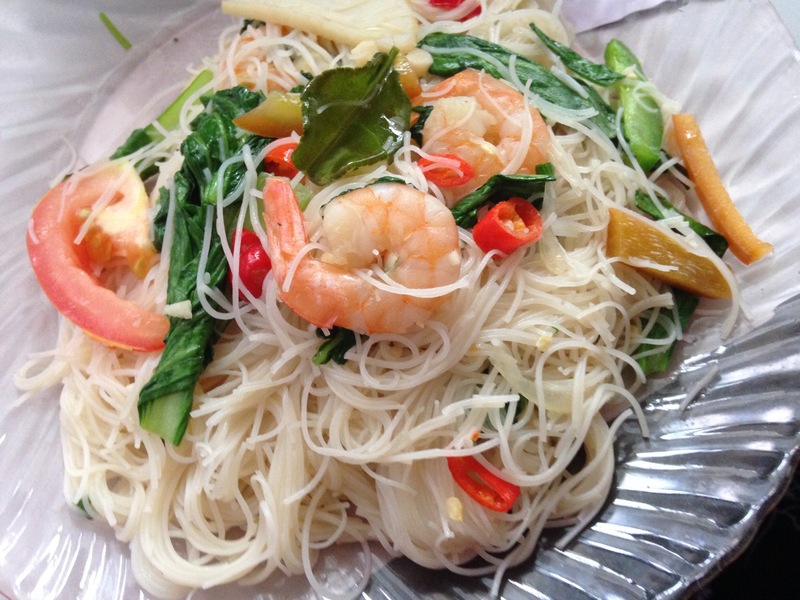 – Mix well and then once the prawns are cooked, add in the chye sim and bee hoon. – Stir and mix well till bee hoon has soften to your preference. – Finally add in the capsicums and sliced tomatoes. – Stir well, off fire and ready to be serve. 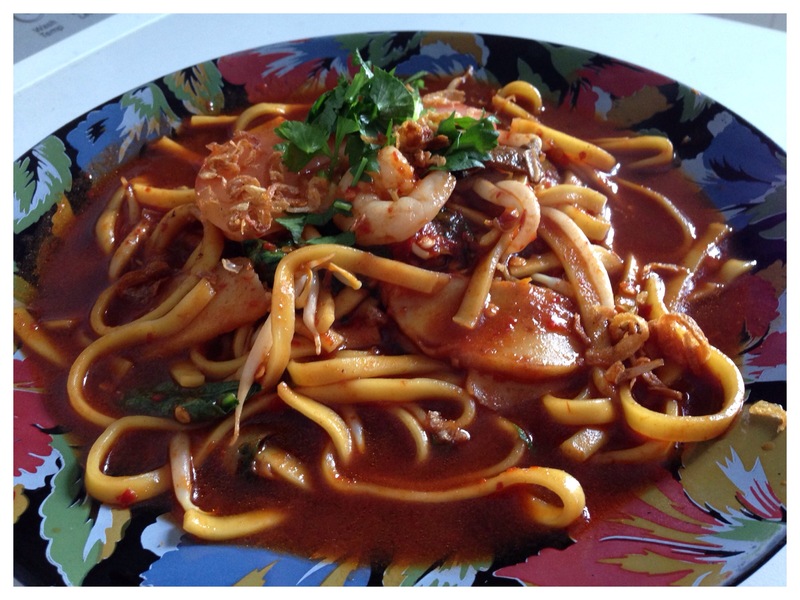 This noodle recipe was shared by an ex-neighbour in Bedok South where I stayed from age 3 till 21 yrs old. It is so delicious that this recipe has remain a favourite within my family and our extended families. In a big pot fill with water, add the rempah soto (soto spices) and let it boil. Once boil, add in the sliced beef. Over a medium fire, let the stock boil till meat is tender. Off the fire. Heat a small wok, add a bit of oil and fry 2-3 tbsp of the chilli paste and 1 tsp of the garlic paste. Use a small fire and keep stirring.. Fry it for about 5 minutes, then add 1/2 tbsp of tomato paste, 1 tbsp of sugar, 2 tbsp of kicap manis (sweet black soy sauce) and 3-4 ladle full of the stock and salt to taste. Then add the prawns and fishcakes. Let it boil. After that, add in the chye sim and noodles. Sitr well. After 5 mins, add the tomatoes, stir and off the fire. Ready to serve. Can garnish with fried shallots and chop local celery (daun sop). Thanks to a friend and sister who willingly shared this recipe. Even my 3rd sister (whom I must say is the official cook of our family) compliment me and she did it 3 times hehee….. Alhamdulillah, am just glad everyone loves it. The best reward for a cook is when what we cook is being appreciated by those who ate it. Ingredients based on a medium size pot. 2-3 ikan kembong (Indian/Chubb mackerel) – boiled and blend the meat after deboning them. Put aside. Keep the fish stock to add to the gravy later. 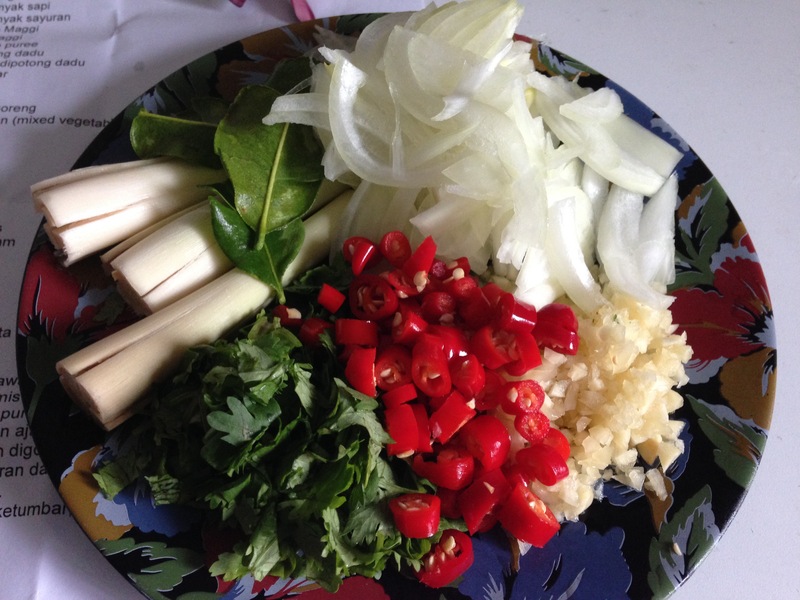 1 small bowl of chopped vietnamese mint (daun kesum) – use half for the gravy and half for garnishing. Add in 1 tbsp full of fish curry powder and 1 tbsp of tumeric powder to the blended paste above. Pour oil into the pot, fry the blended ingredients till fragrant (stir often so that the paste is not stick to the pot). Add in the vietnamese mint, keep stirring for another 5-10 mins. Add the blended fish meat together with the fish stock. 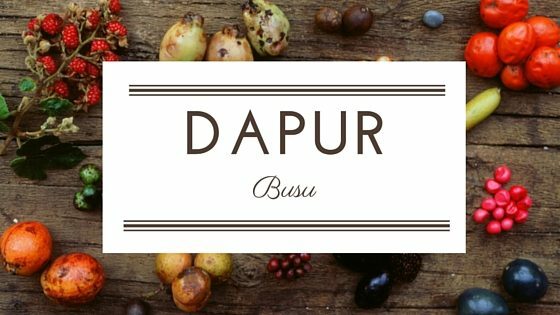 Once it has started to boil, add in the asam keping, coconut milk and water (if the gravy is too thick). Stir well and add salt to taste and the taupoks. Once the gravy is ready, to serve, put the laksa and beansprout into a bowl, pour the gravy and garnish it with the vietnamese mint, some thinly sliced cucumber, a tsp of sambal belacan and a few quail eggs (this is my preference, but you can also add in boiled prawns or sliced fishcake). ok that’s all for the recipe … that was what we had for iftar just now. and we also received these cookies from my 3rd sister ….